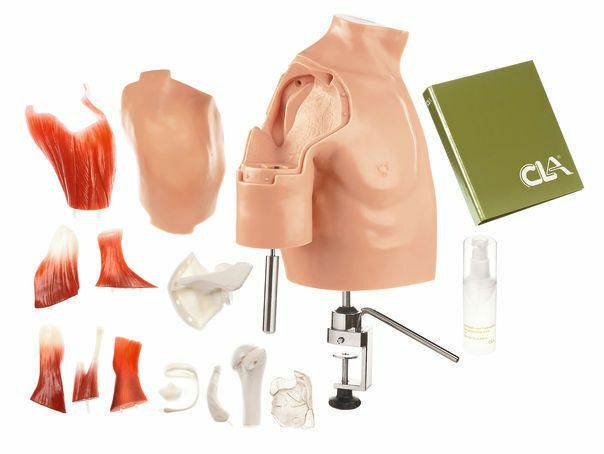 Surgical model and functional joint model! According to Prof. Dr. Henche The model comprises a soft skin and muscle covering in which the joint is embedded complete with its ligamental connections and capsule. This makes it possible to practise operations in many ways. Operations can be simulated on the shoulder joint, biceps tendon and on the joint capsule, including the rotator cuff. 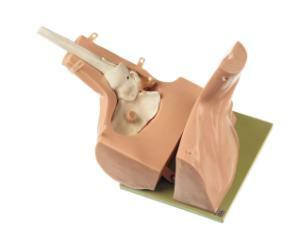 The shoulder joint can be used as a functional joint at lectures after the skin and muscle covering has been removed. The Advanced version allows for more flexibilty of position, and has a higher detail of internal structure.